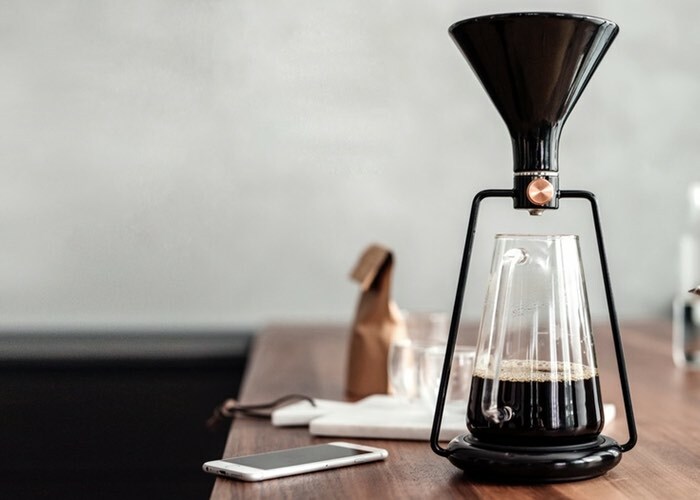 Coffee connoisseurs that are looking for a new brewing system to create their perfect cup of coffee whether it be pour over, immersion or cold drip, might be interested in a new system called the GINA: Smart coffee instrument. We believe that coffee brewing can be a special experience – every single time, with every single cup. That’s why we created GINA, the first complete smart coffee instrument. GINA’s technology will turn your coffee brewing into a special experience. The first smart coffee instrument with a built-in scale and an app enables you to brew coffee with pour-over, immersion and cold drip. With a built-in SMART SCALE weighing will become easier, allowing you to find the perfect ratio between coffee, water and time for a cup you crave for. And with the APP, your phone will connect with GINA via Bluetooth to transfer, save or follow all brewing data. We combined all the features from the tools you already know into one complete device. For more information on the new GINA coffee brewing system jump over to the Kickstarter website for details by following the link below.